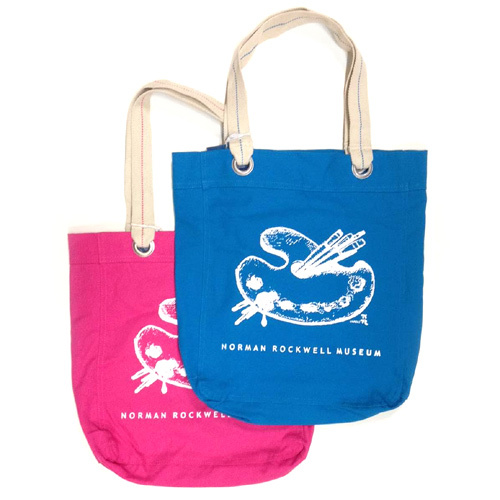 Norman Rockwell Museum Exclusive palette 12 oz canvas tote bag. 15" inches wide, 16" inches deep, straps rest 11" from shoulder. Zipper pocket inside.